A warm greetings to all of you from Team Qmaths. In this post we are sharing a very important PDF for RRB NTPC PSYCHOLOGICAL Test. This e-book contains complete information you need to know about Railways psychometric aptitude test. This PDF is created by Railways department and being shared by Team Qmaths. 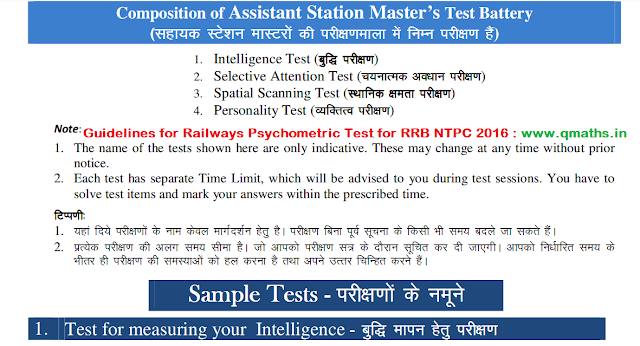 Click Here to Download Railways Guidelines on psychometric test in pdf. Click Here to view and download best books for RRB NTPC 2016 Psychometric test.